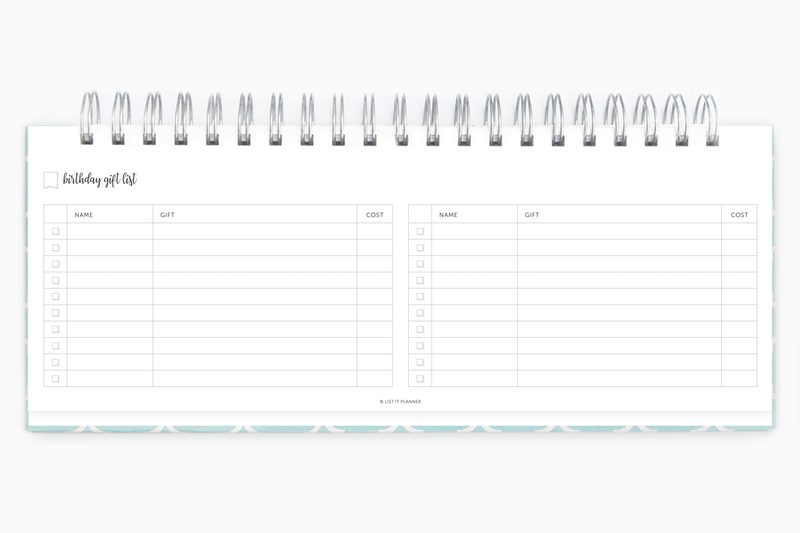 The List It Planner is your ultimate planning tool for all your daily 'to-dos'. 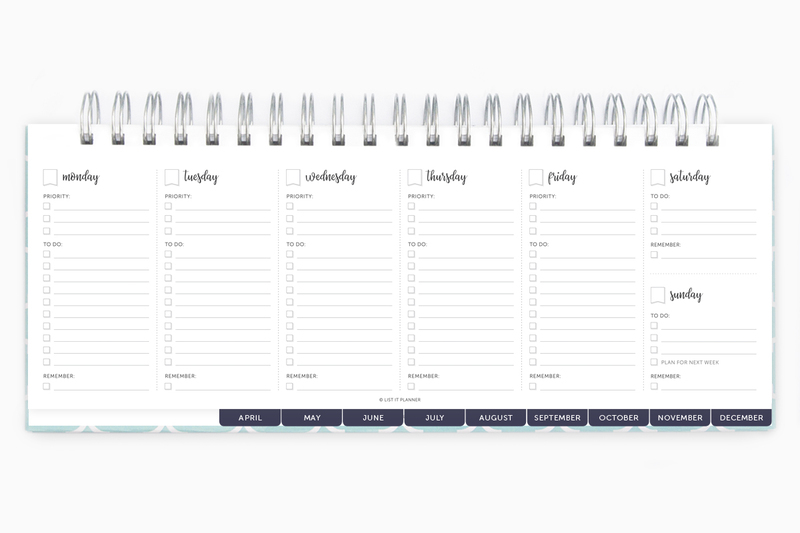 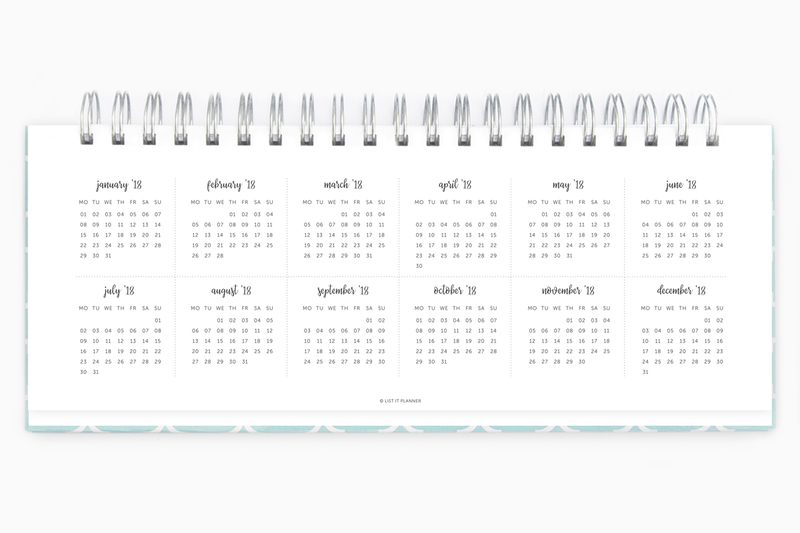 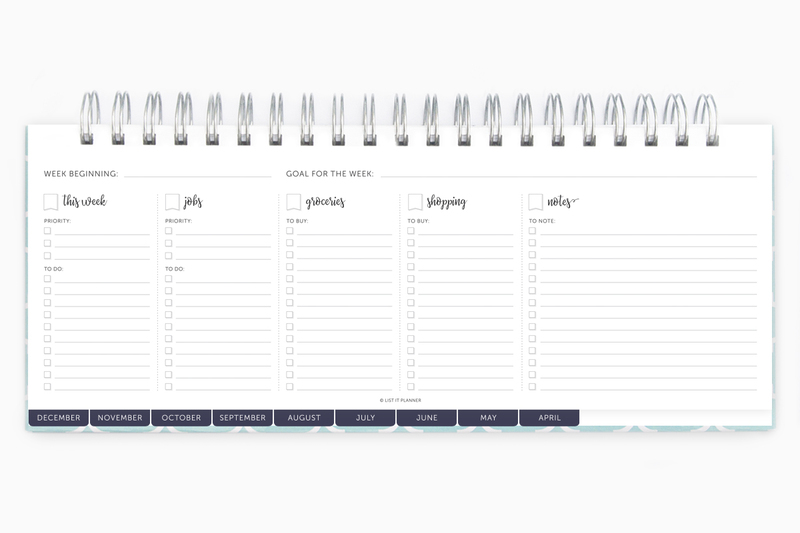 Not to be confused with a calendar, our exclusive weekly planner allows you to handle those tasks one day at a time, allowing you to focus on today, and plan for tomorrow. 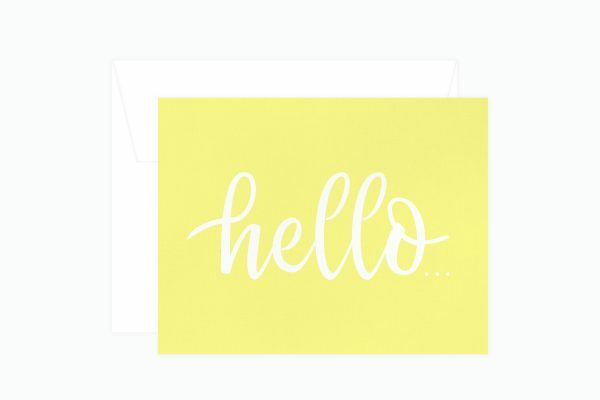 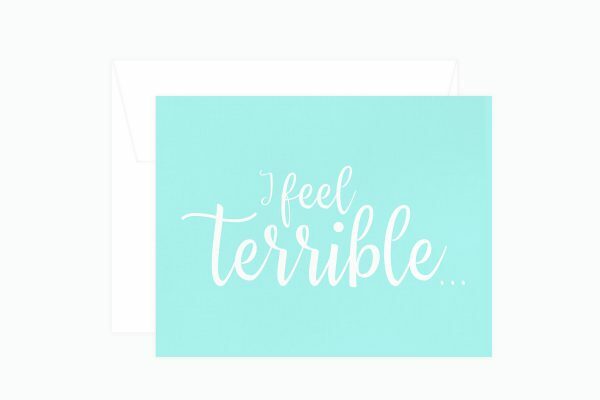 The quatrefoil cover offers bold character and bright styling. 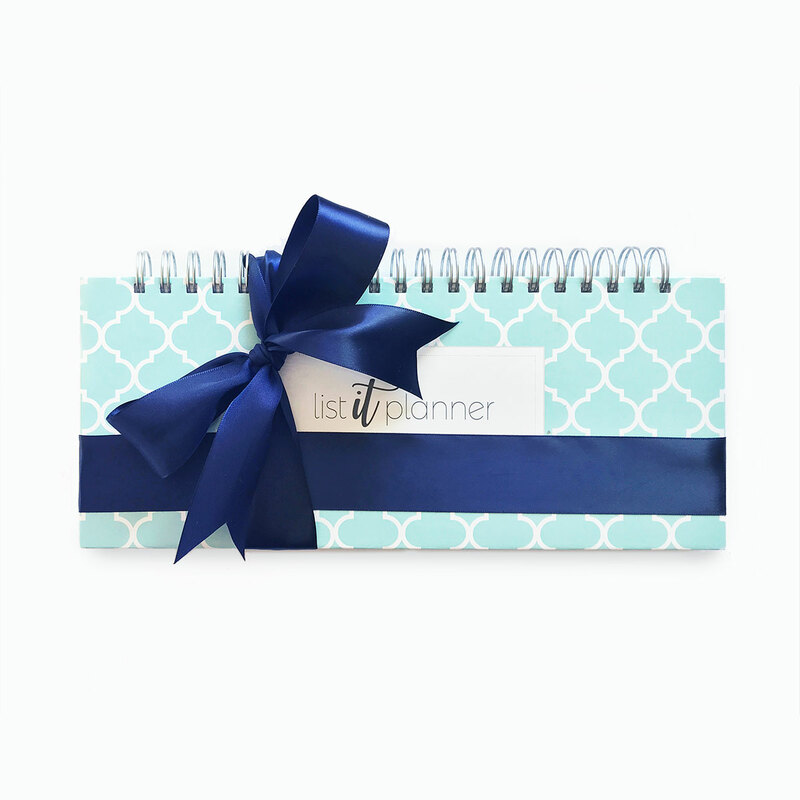 Wrapped in a hardbound, laminated front and back cover, the List It Planner features over 70 pages to help you plan your day, week or month. Our planners are assembled by hand and coil bound with silver, twin loop binding wires for lay-flat binding. 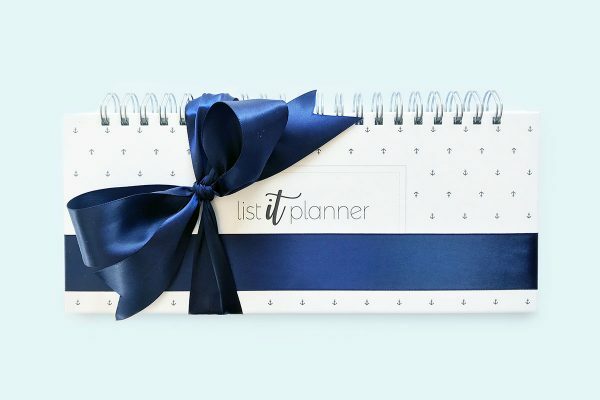 And because every planner should be unique to you and your needs, you decide when you would like your planner to start.